A prescient romance several generations ahead of its time, Woman Of The Year is as relevant today as it was in the year it was made. The exploration of gender politics and the role of women in modern society foreshadowed an upheaval that would only begin two decades later, with the movie uncovering power shift implications that still remain unresolved. 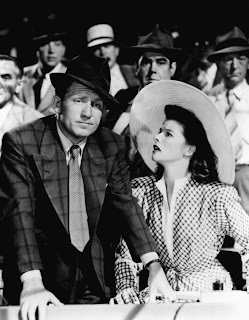 Woman Of The Year was also the first teaming of Katharine Hepburn and Spencer Tracy, a legendary pairing that would spark a lifetime off-screen romance, and a total of nine on-screen collaborations. At the New York Chronicle newspaper, Sam Craig (Tracy) is the sports reporter while Tess Harding (Hepburn) is an international affairs columnist. Craig is a crusty man of the people, generally oblivious to the raging Second World War and just focusing on covering the next ball game. Harding socializes with the political and intellectual leaders of the world, is on a first-name basis with presidents of foreign countries, and frequently travels to far-flung world capitals. And yet, once they meet, Craig and Harding fall in love, enjoy a whirlwind romance, and then quickly get married. As a couple, things are a lot more complicated. Harding's obligations to keep up with global newsmakers means that she has little time for Craig. He is somewhat patient but also resentful, finding his wife often absent and clueless about what it means to be a housewife. Finally, too many references to Mr. Harding and the sudden introduction of a new family member cause a severe strain on the relationship. Sam makes a stand, and Tess confronts a difficult dilemma. Tess Harding is one of the most memorable women to grace a movie, and her arrival on the screen as a feminist role model 20 years before the movement seeped into common consciousness is a remarkable achievement. Loving her job, excellent at what she does and enjoying every moment of her high-flying life, she still has the self-confidence to allow herself to fall in love with a man from a different world. Tess is also happily hopeless about housekeeping, openly condescending about sports, and doesn't even pause to think about the emotional needs of the man in her life. Katharine Hepburn, who in real life was setting her own standards while dismissing the traditional behaviours and wardrobe of women, used the clout of her comeback success in The Philadelphia Story to develop Woman Of The Year. 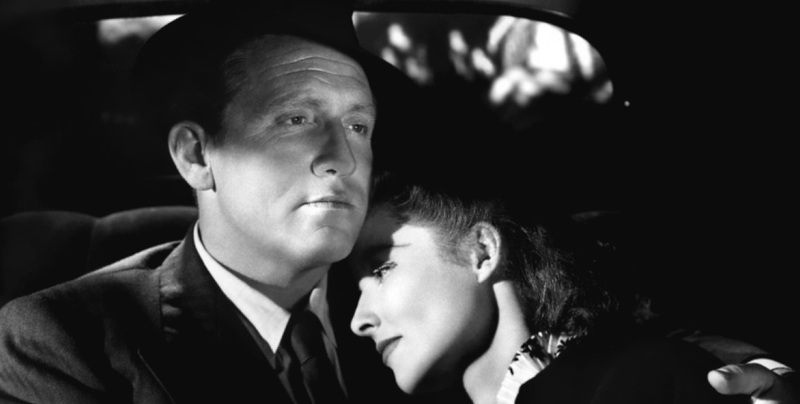 Hepburn selected the screenwriters and director George Stevens before taking the project to MGM. She brings Tess to life in one the best roles of her career, a woman with an intellect operating at twice the speed of all those around her, deploying wit, humour and seduction to help win all her battles in a man-dominated world. Tracy gets the more grounded role as the down-to-earth Sam Craig, emotionally swept up by Tess but otherwise standing aside and allowing the joyous typhoon of her life to carry on without him. Tracy creates in Sam the bemused observer of an unfolding social revolution, a man loving a new type of woman but also crushed by what it may mean to his idea of domestic bliss. Hepburn and Tracy enjoy an almost immediate and natural chemistry, two souls meant for each other and quickly finding comfort in their togetherness. The supporting cast is edgy and contributes to both the drama and comedy. Gerald (Dan Tobin) is Tess' secretary, happy to cater to every need of his female boss, and happier still to make Sam's life as miserable as possible. Mr. William Harding (Minor Watson) is Tess' father, proud of his daughter and fully aware of what Sam is going through but nevertheless enjoying his torment. Ellen (Fay Bainter) is close friends with William and also an aunt to Tess, representing the enduring values of a much more traditional woman. William Bendix gets the outright comic relief role, a former boxer turned bar owner who cannot help but recount long-winded stories about his tiresome bouts. George Stevens directs with brisk pacing and energy to match Tess Harding's life, with something always going on, the phone ringing, unexpected guests at the door, and all events unfolding against the backdrop of the continuous clatter of the news wire machines. From the initial encounters between Tess and Sam to the romance, marriage, and increasingly difficult life as a couple, Woman Of The Year barely pauses, Tess never the sort of woman to take a break and Sam having to adjust to the new reality that comes with the woman in his life. Men and women will spend eternity trying to understand and accommodate each other. Woman Of The Year brings the journey into the modern age, and makes it at once more challenging and much more invigorating.